” We purchased our 2nd home back in July 2016 and I’m finally getting a chance to write a review. Like I said, best decision we ever made going with Javier. Purchasing a home can be stressful and we knew this from our previous experience. We were a bit nervous at first because our first purchase was 15 years ago…but thanks to Javier he made our experience one to remember. A good one indeed! 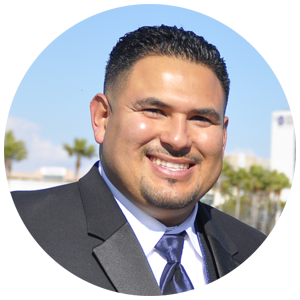 ” Up to the point I started working with Javier, I can’t say I had heard anything positive about real estate agents. We’ve all heard negative experiences from others, but Javier Alvarez is breath of fresh air! It has been an ABSOLUTE PLEASURE working with him and the Alvarez Real Estate Group! I first reached out to Javier in 2016, little did I know he was on vacation! Javier answered my call, taking time away from his family to speak with me! To me, that meant A LOT, and showed his dedication and devotion to his work and clients. During our initial conversation I explained my situation to Javier, and told him I wouldn’t be ready to put my house on the market until January 2017. Javier patiently waited for the new year and NOT ONCE did he pressure me to sell at an earlier time. Mr. Alvarez found a buyer for my home the very first day it went on the market! Sadly due to unexpected circumstances, legal issues arose and this delayed the sale of my property. During this entire stressful process Javier was SUPPORTIVE every step of the way! Gave me hope, was very positive, and looked for ways to help me when I was at my lowest points and ready to give up! Although Javier had never faced such a challenging situation, that didn’t stop him one bit. In fact, it almost appeared to fuel and motivate him! Javier remained persistent, optimistic and determined to sell my home. Javier NEVER GAVE UP nor did he feel defeated! Javier being the smart positive man he is, didn’t see this as a negative experience or a waste of time, instead he said it was a learning experience for him, which will help him provide better service to his clients in the future. After all the ups and downs along the way, Good Friday 2017 couldn’t have been a better day to receive Javier’s phone call congratulating me on the official sale of 7553 Beck, he added I could now close that chapter of my life. Thanks to him, I can! It is he, who deserves to be congratulated for all his hard work! Javier, THANK YOU! You have gone ABOVE & BEYOND!! Saying I am grateful with you is an understatement! You have been PROFESSIONAL, HONEST, HELPFUL, PUNCTUAL, and overall, AWESOME! You are a good family oriented man with a beautiful soul! I am blessed to have met you! You are an accomplished successful man and I wish you the the best in all your endeavors! Hasta el punto que empecé a trabajar con Javier, no puedo decir que había escuchado algo positivo acerca de los agentes de bienes raíces. Todos hemos escuchado experiencias negativas de otros. ¡Pero Javier Alvarez es aliento de aire fresco! ¡Ha sido un PLACER ABSOLUTO trabajar con él y con Alvarez Real Estate Group! Me comuniqué con Javier en 2016, poco sabía que estaba de vacaciones! Javier respondió a mi llamada, tomando tiempo lejos de su familia para hablar conmigo! Para mí, eso significó MUCHO, y mostró su dedicación y devoción a su trabajo y clientes. Durante nuestra conversación inicial le expliqué mi situación a Javier, y le dije que no estaría lista para poner mi casa en el mercado hasta enero de 2017. Javier pacientemente esperó para el nuevo año y ni una sola vez me presionó a vender en un momento anterior. ¡El Sr. Alvarez encontró un comprador para mi casa el primer día que salió al mercado! Lamentablemente debido a circunstancias inesperadas, surgieron problemas legales y esto retrasó la venta de mi propiedad. Durante todo este estresante proceso Javier fue APOYO cada paso del camino! Me dio esperanza, fue muy positivo, y buscó maneras de ayudarme cuando estaba en mis puntos más bajos y lista para rendirme! Aunque Javier nunca se había enfrentado a una situación tan desafiante, eso no le detuvo un poco. ¡De hecho, casi parecía alimentarlo y motivarlo! Javier permaneció persistente, optimista y decidido a vender mi casa. Javier nunca se dio por vencido ni se sintió derrotado! Javier es un hombre inteligente y positivo que no veía esto como una experiencia negativa o una pérdida de tiempo, sino que dijo que era una experiencia de aprendizaje para él, lo que le ayudará a ofrecer un mejor servicio a sus clientes en el futuro. Después de todos los altibajos en el camino, el Viernes Santo 2017 no podría haber sido un mejor día para recibir la llamada telefónica de Javier felicitándome por la venta oficial de 7553 Beck. Y añadió que ahora podría cerrar ese capítulo de mi vida, gracias a el esto fue possible. ¡Es él, que merece ser felicitado por todo su arduo trabajo! “If you got here because you’re overwhelmingly looking for a TRUST WORTHY, B.S free, not sketchy type of agent let me tell you.. Javier Alvarez is your guy!!!! Don’t look any further and give him a call!!!! .. My husband and I are proud first time home owners at just 23 and 24 years old all thanks to Javier and his team for going above and beyond on making this possible. Since last year (2016), my husband and I had our mind set to buy our first home this 2017, preferably a 3 to 4 bedrooms single family home and give certain amount of $$ for down payment. So I started off our process by searching for real estate agents on yelp. I found a few. My husband and I met up with each one of them, we explained our situation and told them how much $$ money we had saved.. they all gave us a breakdown of everything of how much we were going to pay, escrow, closing cost, etc. everything seemed off our limits. One particular agent told us that we were “trying to run instead of walk” that our hopes were very high and that it was impossible for us to start off with a single family home of 3-4 bedroom and maybe we should consider looking into 1 bedroom condo. Nothing wrong with condos but that’s not what we wanted. My husband and I both very naive, were starting to believe everything this particular agent had told us, and almost convinced that we should really start off with a condo. UNTIL!!!!!!!!!!!!!!!!!!! I found Javier and decided to give it one last shot. BEST DECISION OF OUR LIFE!!!!! We are freakin glad that we didn’t gave up on our home search and we are extremely glad we didn’t went with the condo that the other agent was trying to sell us. Long story short (sort of) Javier gave us CLARITY of the whole process, peace of mind, and we now have more knowledge on this. We told him exactly what we wanted and we got exactly what we asked for, even a little more. Financially we paid a fair down payment and closing cost.. Javier made it possible for us to end up with some money left on our savings account for small repairs and remodeling to the new house. What more can we ask for? We can’t thank Javier enough for everything him and his team did for us. Don’t hesitate, avoid your self the stress, and give Javier a call.